Jammu is situated on a hillock, on the bank of river Tawi and is bound by Udhampur district in the north and northeast , Kathua district in the east and southeast, Pakistan (Sialkote) in west and Rajauri district and POK (Bhimber) in the northwest. Its skyline was once dotted with glittering spires of temples. These spikes are no longer visible as most of these are hidden behind multi storyed buildings. The city has numerous shrines for Muslims, Sikhs & Christians also. Jammu also serves as base camp for the holy shrine of Vaishno Devi. Jammu is also the Railhead of the state. Jammu is located 74 degree 24' and 75 degree 18', East longitude and 32 degree 50' and 33 degree 30' North latitude. It is approximately 600 Kms away from National Capital, New Delhi and is linked with a National Highway. The temperature varies from cold in winter with minimum temperature touching even 0.9 degree Centigrade to heat wave in summers when the temperature shoots upto 46 degree centigrade. Jammu District is spread over an area of 3097 Sq Kms and has a population of about 15.88 lakhs as per the estimates of 2001. It is largest populated District of the state and second largest in terms of population density and falls under the category 'B'. The literacy percentage of the District is 77% in as per 2001 census which was highest in the state. Administratively the District has been divided into 5 tehsils , 11 blocks 13 towns including one municipality 1192 villages and 201 panchayats including 41 command areas. This District is having a National Airport situated at Satwari. This District serves as the Winter Capital of J & K state from November to April when all the offices move from Srinagar to Jammu. Jammu. the Duggar land where the past still has a living presence. A land of grand ancient temples, and beatiful palaces. All nestling in the foothills of the Himalayas. It is said that, on becoming King, the Suryavanshi Jambu Lochan went on a hunt and, crossing the Tawi, found a deer and a tiger drinking water from the same tank. His ministers explained that this meant that the soil of the place was so virtuous that no living creature bore enmity against another. Raja Jambu Lochan, who lived in the later vedic period, decided to found his capital , Jambupura, on his soil, on the right bank of the Tawi, overlooking his brother king Bahu's fort. Today the temple of Maha Kali ( better known as Bahu or Bawey Wali Mata), located in the Bahufort, is considered second only to Mata Vaishno Devi in terms of mystical power. The present temple was built shortly after the coronation of Maharaja Gulab singh, in 1822. The existing fort, as well as the Manasabdar's palace inside it, was constructed in 1820. Jammu is justly famous for its temples. In fact it is known as the city of temples and the every fame of its tends to overshadow its palaces, forts, forests and powerful ziarats. If Bahu Mata is the presiding deity of Jammu, the dargah of Peer Budhan Ali Shah is the other shrine that protects Jammuites. The other major tourist attraction is the Ragunath Temple Complex. Maharaja Gulab Singh began the construction of the Raghunath Mandir Complex in the crowded downtown Bazaar named after it, in 1851. It was left to his son, Ranbir Singh, to inaugurate it six years later perhaps the most popular temple north of Benares, it contains representations of almost entire Hindu pantheon, though the emphasis falls on the various incarnations of Lord Vishnu. The complex houses a rich collection of ancient texts and manuscripts. The District is bounded in the north and north east by the Tehsils of Reasi in Udhampur district in the east and south east partly by tehsil Ramnagar of Udhampur district and partly by tehsil Billawar of Kathua district,in the south and south west by Kathua district and Sialkote district of Rawalpindi (Pak) and in the north west by Tehsil Nowshara of district Rajouri and parts of the district Bhimber now under the occupation of Pakistan. District Jammu falls in sub-mountaineous region at the foothills of the Himalayas.Shivalik range rises gradually in the north part of the district and merges with the Indo-Gangetic plains in the south. 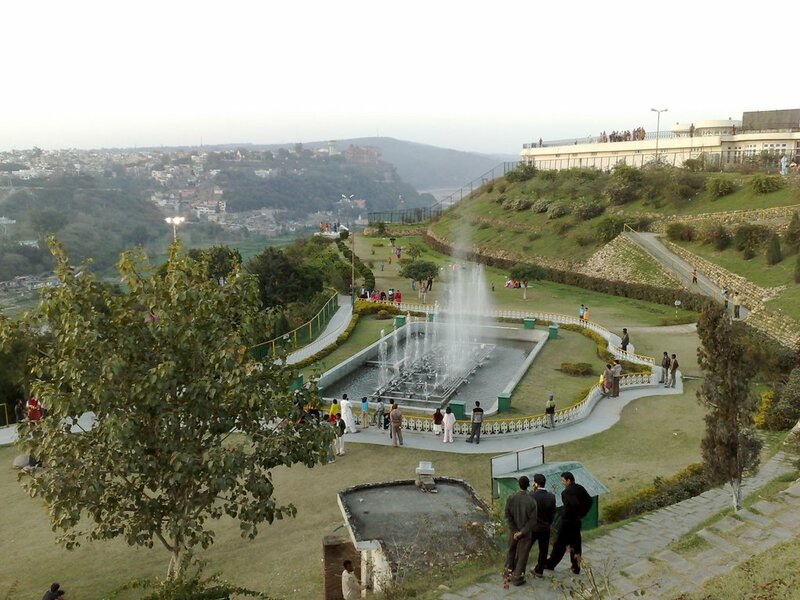 Jammu city is at an elevation of 1030 feet above the sea level. The District comprises five tehsils i.e. Jammu, Samba, R.S.Pura, Akhnoor and Bishnah.The entire district can be divided into two distinct portions.The area forming north of Jammu-Chhamb road and Jammu-Pathankot road which is known as Kandi area is comparatively under-developed and is mostly rainfed. The area south of these roads is largely fed by canal and tubewells for irrigation purposes and is relatively more prosperous. As per the census of 1981,Jammu district consists of 1192 villages out of which 1054 villages are inhabited. Latest, as per DISNIC SURVEY conducted during 1994, the number of inhabited villages in the District reported are 1170. Jammu district has a sub tropical climate with hot and dry climate in summer and cold climate in winter. Being in the foothills of the mountains, nights are generally cooler than what they are in the neighbouring areas of Punjab. Minimum and Maximum temperature is around 4 Degree Celsius and 47 Degree Celsius respectively.